Sign-up and receive Property Email Alerts of Residential Estates in Diemersfontein Wine Estate, Wellington. 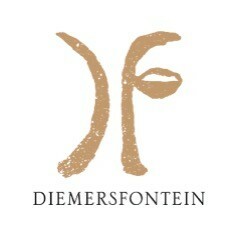 Diemersfontein is a working wine estate, with a fully operational wine cellar, known for its award-winning Pinotage - a uniquely South African cultivar. Only 5 minutes from the charming Boland town of Wellington, 45 minutes away from Cape Town, and 40 minutes from Cape Town International Airport, Diemersfontein is truly a world in one, with a wealth of possibilities literally on its doorstep. A perfect place for your family to grow up and grow old. The living experience on the farm estate can certainly be known as one of the most ideal places to experience life and switch off from the world around you. The state of purity and scenic beauty that Diemersfontein provides, is sure to be one of your life's most unforgettable experiences. The Wine Estate offers 30 on-suite guest rooms. Each are equipped with their own kitchen and veranda that overlooks the iconic farm dam, surrounded by the beautiful Wellington & Paarl wine valley. The rooms and cottages are furnished in country style furniture and are ideal for those wanting privacy and true wine estate tranquillity. There are numerous well-known schools nearby, one being the Wellington Preparatory School & College. Golfers will be impressed that there are eight courses within half an hour's drive from Diemersfontein. There is also a beauty spa on the estate. Just another reason to choose Diemersfontein as your next destination.